After importing FBX files, hip files are getting very large. 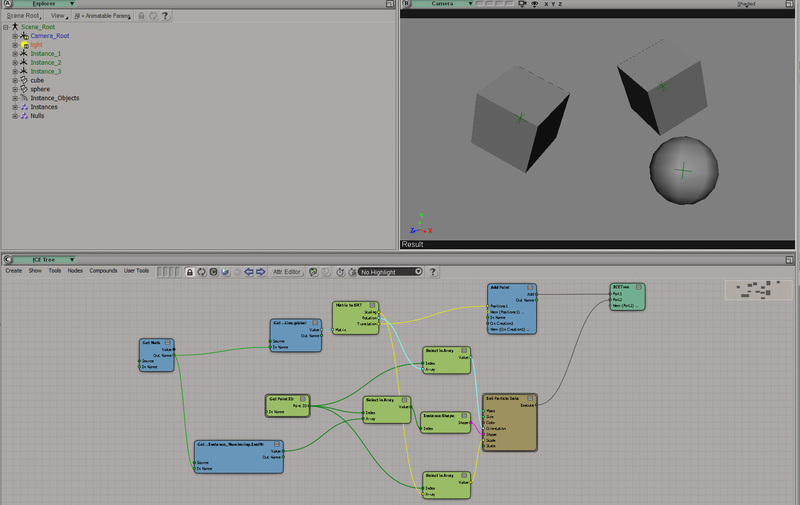 To avoid saving all geometry for every scene it makes sense to save the data to disk. For 3-4 objects it’s no big deal to do this by hand, but when dealing with hundreds of objects, this is getting annoying. Here is a small snipped, that reads the current houdini selection and exports bgeo.sc files to $HIP/geo/`opname(“..”)`/`opname(“..”)`.bgeo.sc. This is really the basic approach without any versioning, it gives you a good starting point how to set this up. Node: if there is no file yet, just create one. Houdini should pick it up on the next startup. 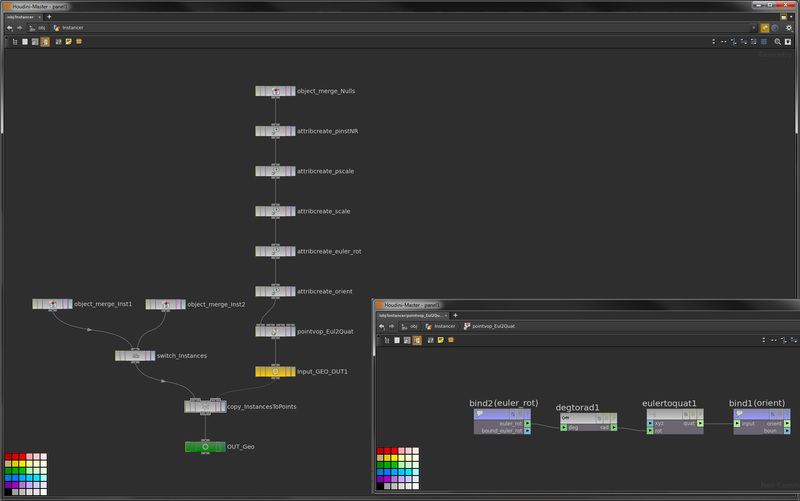 And as you see, currently it works exclusively for redshift materials and the standard principed shader. 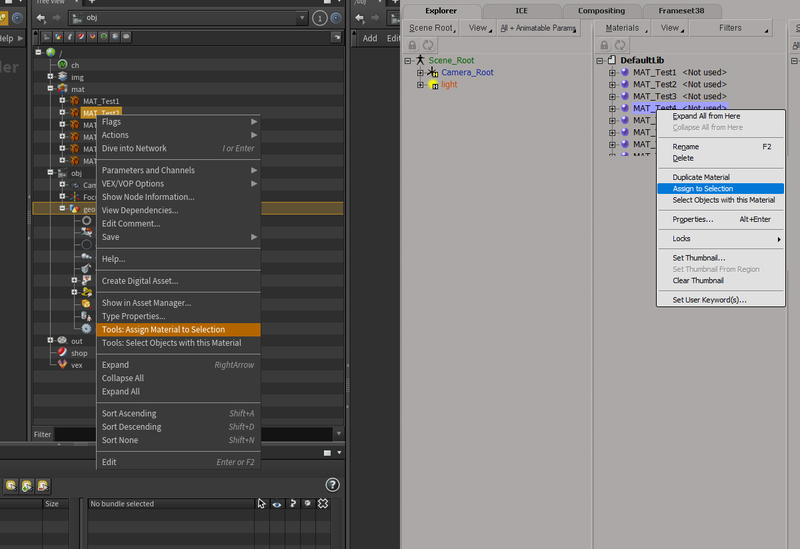 If you want to use other shader types add them to the oShaderTypes variable. Hey, last week I had the case that I had to do some liquid retiming within Houdini 16.5. 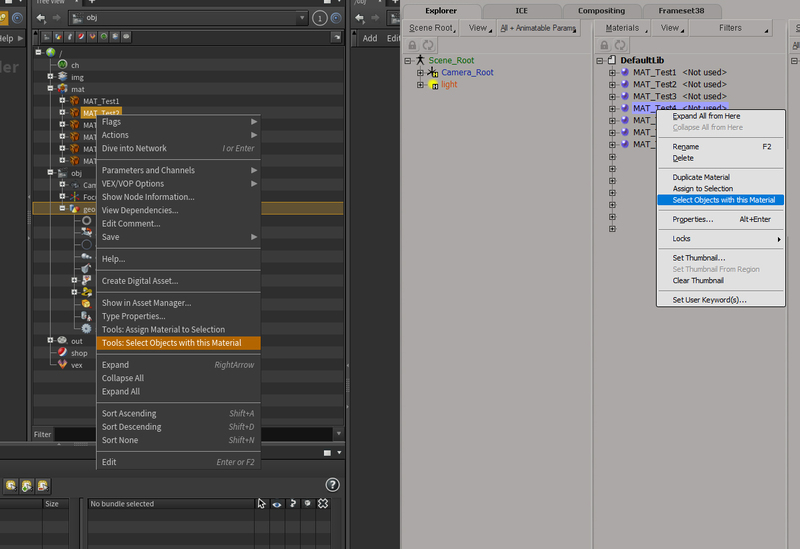 Meaning, that there is no proper retime SOP as in Houdini 17. So I did it the classical way with findattrib. 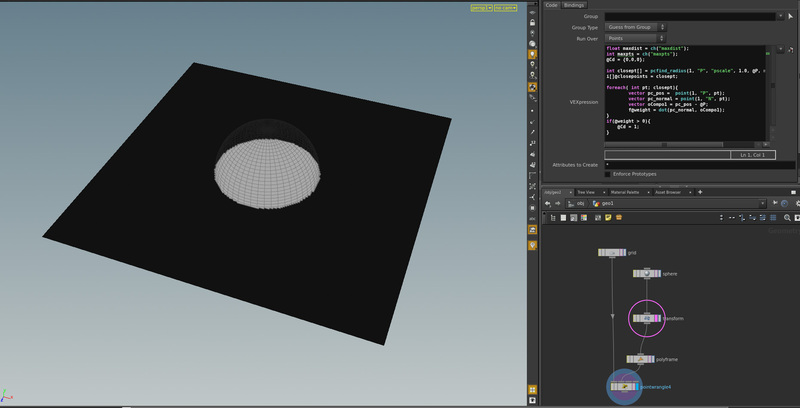 If you are in Houdini 16.x this is definitively a way to check out. I have attached an image of my tree. It works really nice, also with changing pointcounts. The only thing that I had to care about was to save an id attribute within my flip simulation. Hey! long time no post. But, now it’s time to post some stuff again. The first small script I want to share is a script, that has been handy during the last productions. 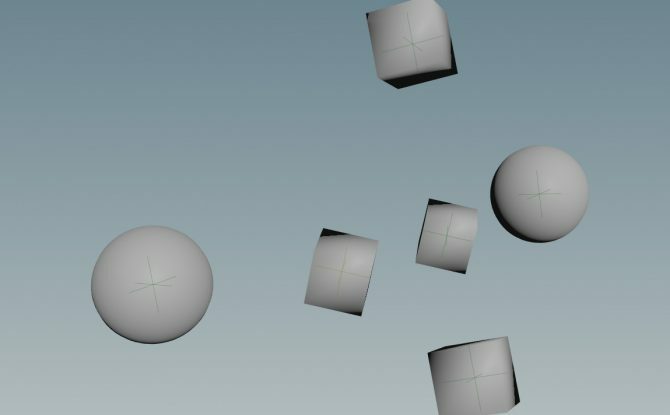 It merges a geo object selection to an new geo and adds it’s material as primitive material. Maybe you were asking, why we sometimes are working like this. 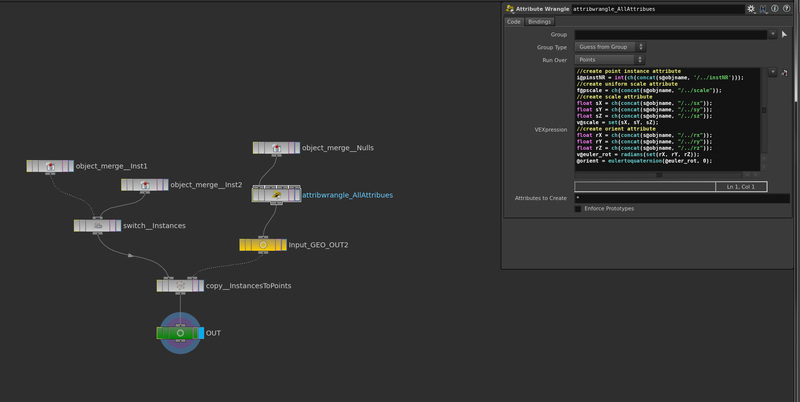 Houdini doesn’t display instanced subnets in the viewport and redshift doesn’t render instanced subnets. 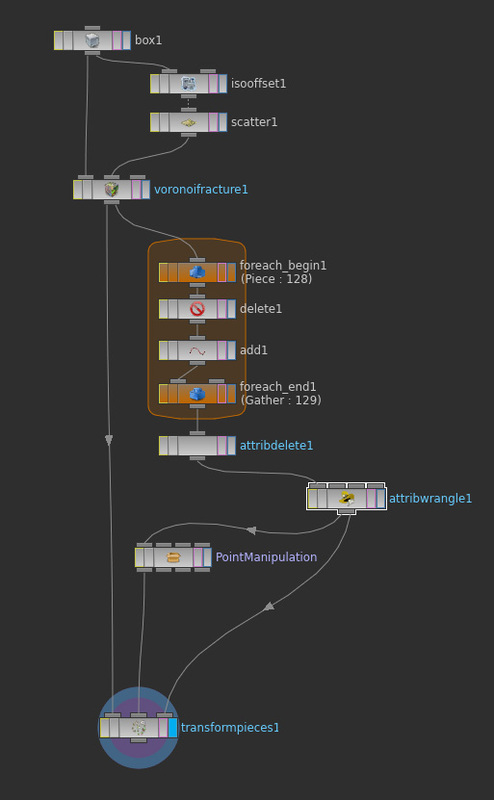 This is a workaround to fully instance subnet/objects in the viewport and at rendertime. 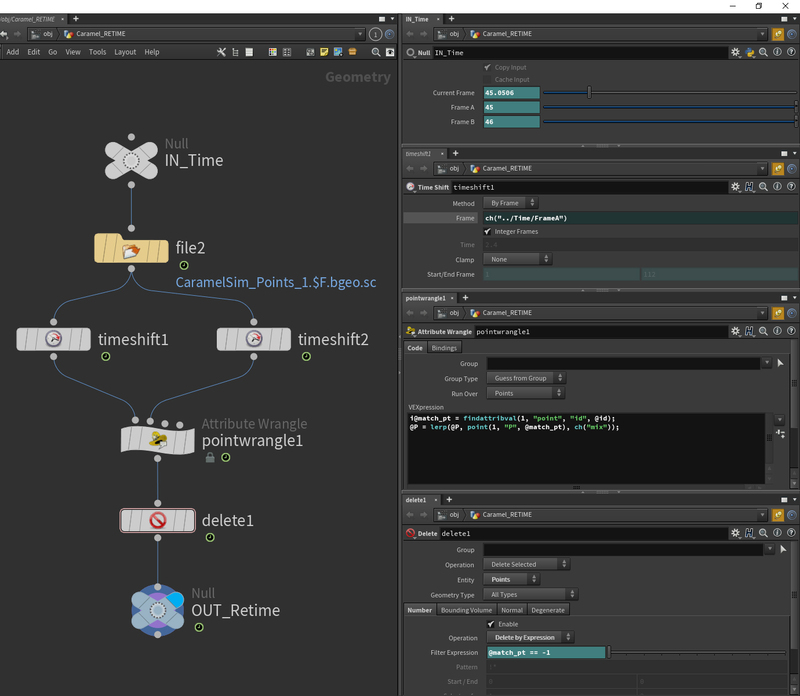 Sure this is just a workflow for small assets, but for smaller products that need to be instanced this can be a solution. Also If you have to do some multi object editing. :). In my last post I showed a simple “Point in Volume” VOP. Inspired from the Side FX VEX Webinar I ported this logic to VEX with an attribute wrangle.